Open Source? We have been here before… right! Since over half a year I have made an adjustment in my course… nothing too dramatic, but still it has had some impact. I have chosen the path of the more pure technique in a sense that the change from Closed Source software to Open Source software allows you to actually work with and solve things by creating solutions rather than trying to figure out how something, someone created for some issue, can reconfigured so it resembles a solution for your actual problem. Okay… okay… this of course is exaggerated, but it serves to help think about the issue. “No one ever got fired for buying Oracle” is one of the phrases I have heard numerous times over the past period. Well, no… but it’s also no free pass to –sorry for the phrase– waste money on technology you either never going to use. 20% of the technology they are paying for! I have followed a number of the brightest mind in the industry (our industry, the database industry) for many years investing vast amounts of time in reverse-engineering pieces of technology that have been built, in order to explain certain behavior. Of course, very necessary, no argument there, but wouldn’t it be so much more cool if this overwhelming amount of brain-power could be used to actually create stuff?? Sure, I am raised with vendor created solutions, that was the default MO when I got trained. VMS, MS-DOS, HP-UX… (are you _that_ old, yes, I am _that_ old) and a number of applications that did the work. Well, those days are gone… operating systems in data centers have (nearly) all been replaced by Linux distribution installs. And I mean like, as good as all of them. Sufficiently stable, cost effective and they get the job done. With the current explosive growth of Open Source databases, brace yourselves. Or rather, embrace! All the exact same arguments that are there for Operating Systems apply. There is no difference, and you, the industry, chose! And you will choose this again. Simply because “it is good enough”, it is much more cost effective and it gets the job done. The extensibility, the agility of Open Source database software gives you the ability to let your database, be it OLTP, OLAP, Big Data, Polyglot, or whatever we come up with, do what needs to be done. The current leader of the Open Source relational database systems is PostgreSQL. A platform developed in over 30 years to become an absolutely stable data processing engine for a fraction of the costs of the Closed Source players in this market. 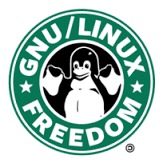 We have seen wave 1 of Open Source where we all choose to replace the operating system standard with Linux. We will now see wave 2 of Open Source where we will choose to replace the database management system standard with… PostgreSQL (or in specific cases one of the other, more specialized systems, depending on the need). This blog post is inspired on work I have been doing on Standard Edition databases and the returning confusion about what is and what is not part of Standard Edition. DBA_FEATURE_USAGE_STATISTICS is a tool in determining license usage for the Oracle database. It is good to understand the implications of each entry, know what is happening in your database and thus be able to have a substantial conversation about the usage of your license, being SE, SEO, SE2 or EE! This list is the full list of DBA_FEATURE_USAGE_STATISTICS and I have found no source where there is a mapping of these features to database editions. As it is a lot of tedious work I call upon the community to help complete the list and make it as accurate as can be. So, if you have news, improvements, other bits of information, please send it to me and I will make sure it gets added! WARNING: Still… with all the work that goes into these answers, it is not the law, it is a very serious interpretation of facts which will pay a part in helping you make the right decision when it comes to database licensing. Active Data Guard – Real-Time Query on Physical Standby NO ! ASO native encryption and checksumming NO – EE option ! Automatic Maintenance – SQL Tuning Advisor NO ! Automatic SQL Tuning Advisor NO ! AWR Baseline Template NO ! Block Media Recovery NO ! Change Data Capture NO ! Data Mining NO – EE option ! Deferred Segment Creation NO ! Hybrid Columnar Compression NO ! Label Security NO – EE option ! Materialized Views (User) NO ! OLAP – Analytic Workspaces NO – EE option ! OLAP – Cubes NO – EE option ! Oracle Database Vault NO – EE option ! Parallel SQL DDL Execution NO ! Parallel SQL DML Execution NO ! Parallel SQL Query Execution NO ! Partitioning (user) NO – EE option ! Quality of Service Management NO ! Spatial NO – EE option ! SQL Monitoring and Tuning pages NO – EE option ! SQL Performance Analyzer NO ! SQL Plan Management NO ! Unless used for upgrade to Enterprise Edition. Unless used without history table optimization. Goldengate can also be used with Standard Edition, it is a separate product. RAC on Enterprise Edition is an option. Import transportable tablespaces in all editions. Policies on XDB$ACL$xd_sp in sys.v_$vpd_policy are internal ( “out of the box”) policies that are used by XDB to control the access to certain internal tables. All the logic is implemented in the xdb.DBMS_XDBZ package and there is no way one can control / influence the way this is working. I was being teased by SQL Developer. 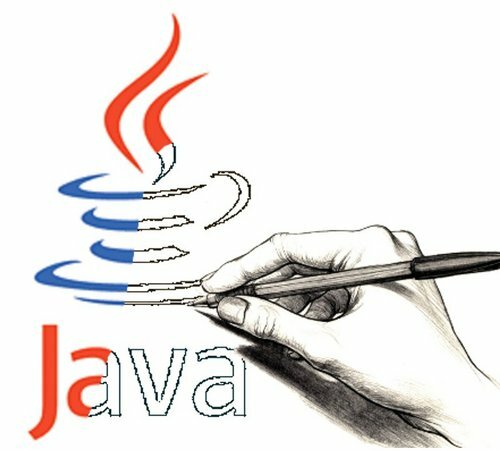 Everytime I started it came nagging about that it was being forced to live in an old Java version called jdk1.7.0_45 and that is was not feeling happy about it. So, I should remedy this, I thought to myself. SetJavaHome to nothing, and then SQL Developer would kindly ask me to point it to somwhere to live. Well… no. My SQL Developer refused it all and just started with this jdk 1.7. Same hack done in another file on another location, a file called sqldeveloper.conf. 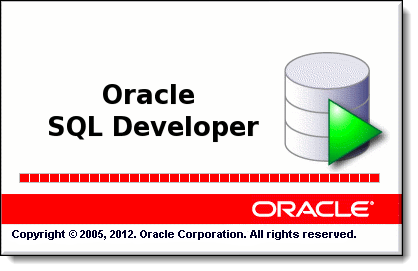 Freshly downloaded SQL Developer, put in place… No help! In the end, I wound up with one of Jeff Smits’s helpers. This guy aksed me to “start SQL Developer from the commandline”. Right, but how? But… wait… an .sh-file!! Interesting!! And, presto, error-message gone and SQL Developer now happily lives in Java 8. Hope this helps somebody out!! Database performance, as is true with all performance related matters, has to do with resources. The issue with installation is the hyper-threading aka. the use of the logical processors. When the server is booted and is running, you can do basic performance review with a default tool like top. Okay! Great… but… there are some catches. This parameter lcpu_attr is a dynamically tunable kernel parameter but… it’ll crash your databases. So you will need a minimum of planned downtime for this action. Also, you can set hyper-threading on in the EFI boot-loader. But then you should be aware of this! All in all, it could be not difficult to boost your Oracle database performance on HP-UX for free! Thanks to my good friend Gerard van der Kooij for finding the final link!